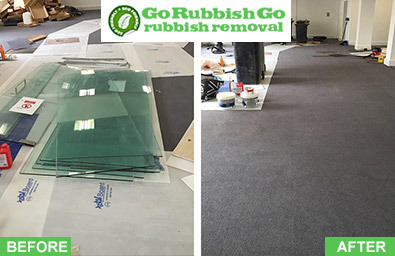 Go Rubbish Go will help you deal with your clutter as soon as you ask for our help. We make it a point to provide all the Chadwell Heath house clearance services that customers will want at any time they want them. If you are in need of more space around your house in Chadwell Heath and a hand help with the clearing of that clutter and all other unneeded items in your living room, dining room, attic, cellar, or garage, then simply give us a call on 020 8610 9182. We will be there for you and we will make sure that you receive the help you need at low RM6 house clearance prices. If money is a problem for you, then you can still afford us. We take pride in our ability to provide customers with excellent Chadwell Heath house clearance deals that will be accessible to people with even the strictest of budgets. We are the right solution to your space troubles and monetary troubles in Chadwell Heath as we will fit right into whatever budget you have at the moment. Our RM6 house clearance deals offer heavy discounts and when you call us, you may just hear an even better deal that will deal an even smaller blow on your bank account. You don’t believe it? Well, come and see for yourself! Our customer service representatives will give you all the details on 020 8610 9182. Get a low-cost solution and save money! Never worry that the job will not get done properly or in time. We employ only the best experts for your house clearance in Chadwell Heath and they will take care of you like no other team in the area. We guarantee 100% customer satisfaction and you can quote us on that when the collectors are done and all your junk has been taken care of. 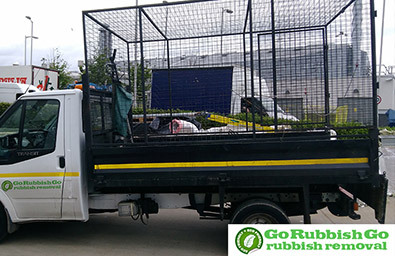 No need to fear clutter, no need to worry about free space when we are on the job – our crews play the efficient RM6 house clearance game only too well and you can see that for yourself once we arrive and start doing what we are best at. The benefits of having a clutter-free home in Chadwell Heath are almost too many to count. But attempting at a count, we will include more free space for activities, less junk to deal with, easier cleaning of the rooms, a better look for your home, and many more to the list. And all that you can get at any time by giving our friendly customer service operators a call on 020 8610 9182 and booking a RM6 house clearance appointment. We will make sure that all your needs are met and that you get all the amenities that your home should be giving you without all that clutter. House clearance RM6 is now all too simple. We are better than most of the Chadwell Heath house clearance competition for more than one reason. One of the many things we take great pride in is our ability to stay green while performing our duties. We make it a point to be environmentally friendly and never even hint at words like pollution. We use the services of local recycling centres and we make sure that at least 85% of all the clutter we took away during the RM6 house clearance service is recycled and put to better use rather than taking up space at your house in Chadwell Heath. 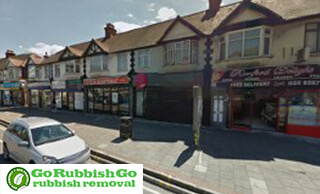 Here at Go Rubbish Go we guarantee high quality of house clearance in Chadwell Heath. We make sure that every need the customer has is met with punctuality and efficiency. We will do a speedy job of whatever you needed from us and we will make sure that you are left a happy customer. This is the place to get 100% customer satisfaction, because we provide the goods and you only need to ask for them. Come to us when you require a reliable RM6 house clearance service, because we are the best choice in all respects. Contact us on 020 8610 9182 and get your free quote right now. Chadwell Heath is located in the north-eastern part of London and lies both within the borders of both the London Borough of Redbridge and the London Borough of Barking and Dagenham. It is a suburban area that accommodates a solid population and offers quite a lot of amenities for all. The area is quite affluent and it offers some nice pubs, such as the White Horse public house, and the Eva Hart pub – a pub named after one of the survivors of RMS Titanic, and a former resident of the area.